Everything was in place in Dale’s world. He and his wife lived in a farmstead in Walhalla where they had always lived, in fact, where Dale had grown up. He ran the repair shop that his father had started back in 1930; Dale joined his father in 1953 and carried on the work when his dad passed away in 1989. He spent his days tinkering in the shop and fixing various machines that folks brought in; lawn mowers, snow blowers, tillers, engines. “Everyone in the area knows when you need something fixed or an old part, bring it to Dale,” said Travis Berg, a Business Banking Officer at Choice Financial in Walhalla. He’s been in the shop, and at first glance, it might seem like a jumbled mess of tools, gadgets, and parts. But to Dale, it’s a treasure trove of resources. But then, this summer, he had an accident. Dale was walking on the treadmill when he slipped, fell, and broke his neck. At 83-years-old, Dale continued to work in the shop each day, taking on projects and helping out the locals. But then, this summer, he had an accident. 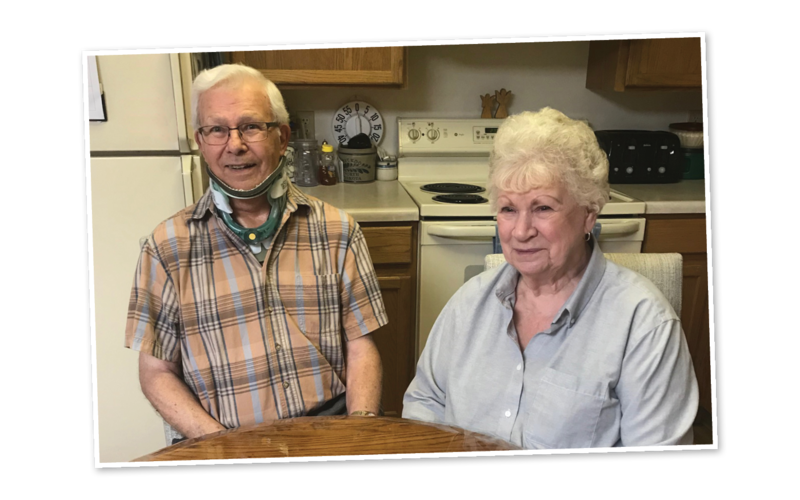 Dale was walking on the treadmill when he slipped, fell, and broke his neck. He spent days in the hospital and months in a neck brace. The injury meant he and his wife needed to move into assisted living. Suddenly, everything was changing. Dale wasn’t able to work anymore in his shop and he became concerned about the future. Sharon talked him through it. She walked him through the finances he had at his Choice Financial account and asked if he had any other accounts or assets at other financial institutions. Dale said yes, he did, but he was unsure of how much. Sharon encouraged him to find out all that information ahead of time to ensure when she met with Dale that she would have all of the information needed to help better assist him. She also asked Travis if he would sit in during her visit with Dale. Later that week, Sharon and Travis received another uneasy call. Dale had all the information, but he didn’t have a ride to the bank. Without hesitation, Travis jumped in. “We’ll be right over,” he said. “Really, you’ll do that?” Dale sounded relieved. Sharon and Travis met Dale at his new residence that afternoon. Dale, seeming overwelmed, answered the door. Inside he had stacks of paper on his kitchen table. Over the course of an hour, Sharon and Travis walked him through all of his accounts and assets. They answered all his questions and even helped him get some business tax forms he never recieved in the mail. By the time they wrapped up their meeting, Sharon could see a noticeable change in Dale’s demeanor. It was clear he was feeling better about the situation. As they shook hands to leave, Dale looked them in the eyes and smiled. “It was so nice visiting with Dale and his wife and listening to Dale’s stories about the shop,” Sharon added. This, Dale’s happiness and increased sense of comfort, is the reason Travis and Sharon do what they do. It’s the reason they drove to him when he was unable to come to their office, the reason they spent extra time to make sure he felt at ease, the reason Travis went back a second time to deliver tax forms that Dale needed. It’s about being PeopleFirst. It’s this commitment to the core values that helped Dale adjust to his new normal. The transition from repairman to (temporarily) retired is still difficult for him; he says he misses tinkering and working on projects, and looks forward to working again in the shop (despite his wife’s concerns). Yet for now, with the assurance of the Choice team and with some time to settle in, Dale is learning to adapt. Sharon expressed her gratitude for Travis, who was instrumental in helping Dale feel at ease. Travis quickly added that it was a joint effort. “Sharon always goes above and beyond for the bank and our customers. She was there to offer advice. It was great teamwork,” he said. Sharon smiled in agreement. “A total mission accomplished,” she said. 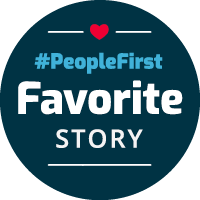 It takes a village to raise a child, and create a #PeopleFirst community.